Lenders and other real estate professionals need to put quite a bit of time and energy into mortgage marketing. The trick is to gain the attention of prospective clients long enough to get people interested in the products and services the company offers. Mortgage lenders who are well known and have a trusted reputation do not necessarily need to expend a vast amount of time and resources on the arduous task of getting their names out there. Instead, they focus their efforts on convincing potential applicants to apply. Lenders spend a lot of marketing dollars to advertise interest rates while also promoting the general idea of homeownership as an attainable goal. The objective is to start people thinking about buying a home or refinancing their existing mortgage when they may not have otherwise entertained the idea. In this sense, the lenders are essentially creating a market for their products which may have otherwise not existed. 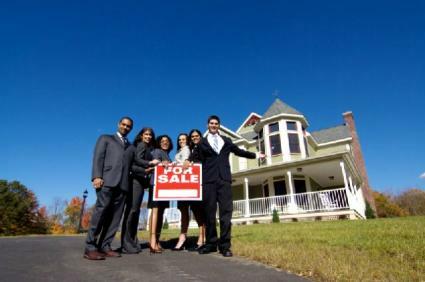 Some lenders also attempt to reach potential applicants by sponsoring workshops and educational seminars designed to educate people about the process of buying a home. Other lenders distribute software, which turns home buying into a simple step-by-step process. Many lenders also have mortgage consultants on staff just to answer questions and make the application process less intimidating. By making the process of buying a home less daunting and more accessible, lenders turn reluctant consumers into confident applicants. Lenders who specialize in refinancing mortgage loans often use a marketing strategy designed to get people thinking that a cash-out mortgage refinance is the instant solution to their money woes. They advertise consolidation loans at low rates, and only the savviest of advertisement viewers realize it is a mortgage refinance loan behind the promise of instant cash. When interest rates are low, lenders need not employ these sorts of tactics because applicants flock to refinance in an effort to lower their monthly payments or to get some cash at a low interest rate. Low interest rates mean higher volumes of applications, and high interest rates translate into a greater need for lenders to step up marketing efforts. Perhaps the best thing a lending company can do to increase sales is to employ people who are friendly, knowledgeable, and willing to guide applicants through the entire process. There is no better form of marketing than word-of-mouth, since a person is more likely to trust the advice of a friend or family member than a random advertisement. Low interest rates are great, but many applicants are willing to pay higher interest rates in order to deal with a mortgage lender who they know will always be available, informed, and friendly. Earning a reputation a lender with excellent customer service can be far better than any mortgage marketing campaign.